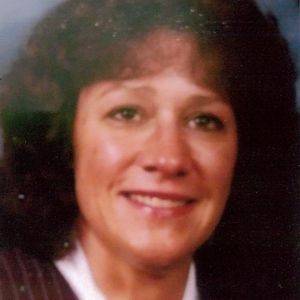 Linda Sue Landaal, 65, of Waupun passed away peacefully on Thursday, March 28, 2019 after a long courageous battle with pancreatic cancer. Linda was born on January 7, 1954, daughter of Norman and Helen (Rohde) Kenning in Beaver Dam. She was a graduate of Beaver Dam High School in 1972 and later attended Moraine Park Technical College. On December 1, 1973 Linda was united in marriage to Delburne Foulkes and they had two children; Derek and Kevin. On January 23, 1998 she was united in marriage to Gregory J. Landaal. Linda worked in banking, was a secretary at First Ev. Lutheran Church, intake specialist at Energy Services, Inc., as well as waitressing at various local restaurants. She is survived by her husband; Greg, son; Derek (Brandy) Foulkes and grandsons Dylan and Devin, of Fall River, her parents; Norman and Helen Kenning of Beaver Dam, mother-in-law; Verda (Fred Donaldson) Berkers of Green Lake. She is further survived by aunts, cousins, many in-laws, other relatives and friends. Linda was preceded in death by her son; Kevin in 1994, maternal and paternal grandparents, and aunts and uncles. In keeping with Linda's wishes, a memorial service will be held on Saturday, April 6th at 11:30 a.m. with Rev. Cherie Forret officiating at Trinity Church-United Methodist in Beaver Dam. A memorial gathering will be held before from 9 a.m. to 11:30 a.m. at the church. If desired, memorials may be made in memory of Linda to Trinity Church-United Methodist in Beaver Dam. A special thank you to Verda for her heartfelt caregiving and to Hillside Hospice. Add your thoughts, prayers or a condolence to Linda's guestbook.